Book series – whether trilogies or longer – have been around for a good long while. 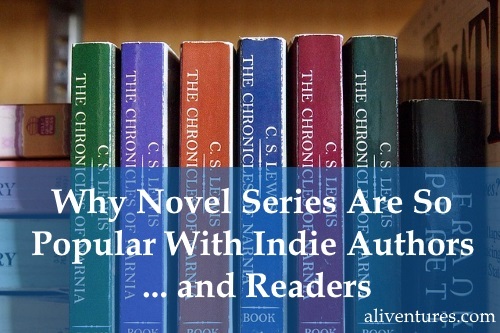 They’re especially popular, though, with indie authors (who self-publish their own work), and over the past few years, I’ve seen lots of great indie authors focusing or coming to series writing. So why are series so popular? A “closed” series: quite often a trilogy. The story is moving towards an end point, and the books build on one another. An “open” series: very popular in the crime and thriller genres. Each book links to the others, but they can generally be read out of sequence – and the protagonist doesn’t change significantly from book to book. They could go on indefinitely, with no set end point. Last year, I began my first-ever series when my originally standalone portal fantasy Dreamlander turned into a trilogy on me. Outlining the follow-up books has been an entirely different, multi-faceted, and incredibly rewarding experience. It’s easier to sell readers a sequel than an entirely new novel: they’re already familiar with your characters and setting and – hopefully! – want more. As an author, it’s also easier to create a series. You’ve already established your characters and setting, and you can explore them in more depth or give them new and bigger challenges to face. When self-publishing, you call the shots. 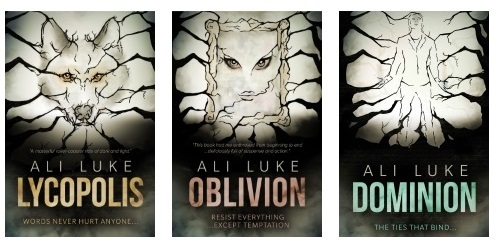 You don’t need a publisher’s permission to write a series (and traditional publishers may well not want a series from an unproven first-time author). Like all authors, I’m also a reader! And as a reader, I enjoy series of novels – whether traditionally published (I tore through Sophie Hannah’s Culver Valley Crime novels earlier this year) or self-published (I read the whole of J.F. Penn’s London Psychic trilogy on holiday last summer). So why do series work for readers? You know roughly what to expect. I’ve noticed that even if I’m not wildly keen on the first book in a series, I’ll often go on and read the rest anyway! I read all the Magic 2.0 series despite having mixed feelings about the first book – the rest of the trilogy also had flaws, but they were readable and entertaining. You can potentially get good value for money by picking up a “box set” of ebooks: many authors with three or more books in a series package them together as a set. I have to admit, though, that for me personally this isn’t a great draw: I don’t want to commit to buying several books until I’ve read the first! What are the Drawbacks of Writing a Series? While I’m a big fan of series, from both the writing and the reading side of things, I’ll admit they can have drawbacks too. As an author, one potential problem is boredom. 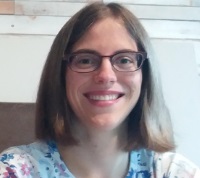 Maybe you enjoy writing lots of very different stories, and you don’t want to stick with one setting and one set of characters – or even one genre or style. Ultimately, of course, no author has to write a series. But a series of books – whether loosely linked or closely following one another – can be a great way to draw readers in and give them a rich, detailed story to enjoy. Ali, I was looking around for ideas on editing my ebook and stumbled across your website. I just have to say, I’m very impressed overall with your setup and appreciate the ideas. I read a couple of your blogs, one about editing on your own and another about books in a series, and I found the information there to be inciteful and very usable. There are a lot of how-to blogs and books about self-publishing but very rarely do I come across something as substantive or worthwhile as yours. So once again, thanks for all the work you’ve put into this. Please, keep it up!